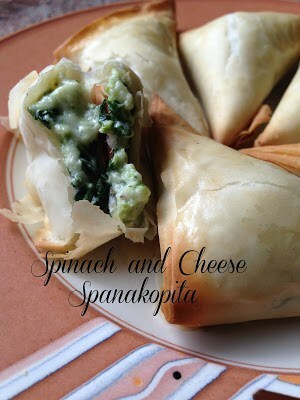 Spinach and Cheese Triangles or Spanakopita is an authentic Greek recipe made with spinach, feta and ricotta cheese wrapped in a crispy phyllo pastry. With the regular football season starting this week, why not make something different and serve these delicious little triangles. 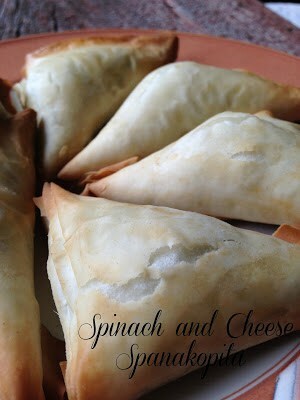 Serve spinach and cheese triangles with Cucumber Dill Dip, (recipe follows) for the perfect party appetizer. 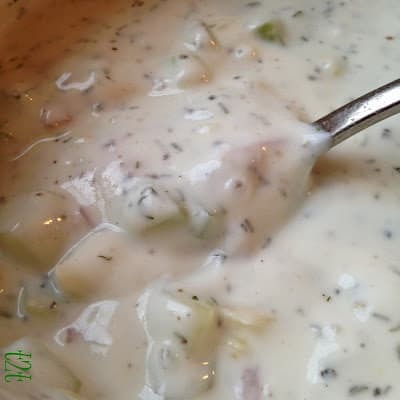 Cucumber Dill Dip is a fantastic dip made with yogurt, cucumber, garlic, red onion and fresh parsley, dill and lemon juice. Sounds refreshingly good, doesn’t it! This dip would also be great served as a sauce for gyros or as a dip for fresh vegetables. Make this yummy dip in the summer when fresh cucumbers and dill are in season. Place triangles, seam sides down, on a baking sheet. Bake at 350° for 20 minutes or until golden brown. But they are perfect for a Fall party like the one over at my Blog! Come back over and link up!